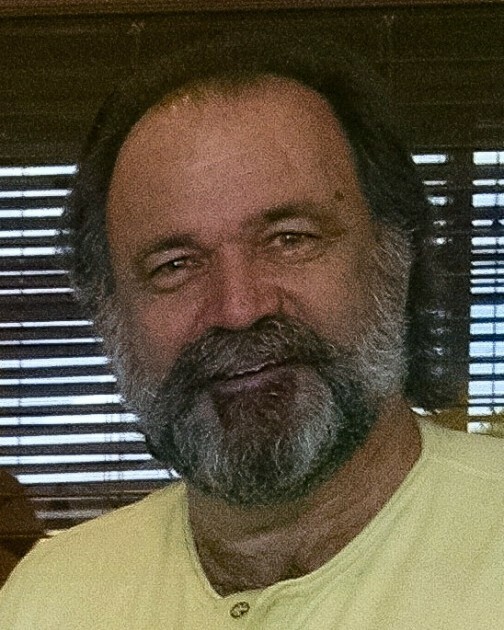 Charles Bradford “Brad” Hix, 65, of Ringgold GA, went home to be with his Lord and Savior on Thursday, January 31, 2019. Brad was a Christian man with great faith in the Lord, and love for his fellow man. Brad grew up in the East Brainerd area and attended Elbert Long School. When he was in the 9th grade, his parents moved to Laurens, SC, where Brad attended Laurens High School and Thornwell High School. He then attended the University of North Georgia Dahlonega, a military college (now known as University of North Georgia), where he studied and trained to be a Ranger. Later, he continued his education at Lander University in Greenwood, SC. His love of music came early when he began playing drums in middle school. Brad had a God-given talent, and while perfecting his art, he played in and around South Carolina. Later, he traveled to California to tour. Brad also wrote and recorded music, and sang on some of his recordings. During his time in South Carolina, Brad worked for 3M Company, and the family-owned, private technical ceramic business (which manufactured items for NASA). He was also the successful owner of a starter alternator business. Brad garnered such an extensive knowledge of “how-to,” folks turned to him when assistance was needed. He returned to Ringgold, GA in the early 2000’s. Brad worked locally, was the caretaker of the family farm, but most importantly, he cared for both of his elderly parents until their passing. Later living in Chattanooga, he kept and treasured the farm, which had belonged to his grandfather, Charles “Big Daddy” Yates, a Georgia Senator. He loved an adventure, evident in his passion for motocross racing, speed boats, water skiing, building various types of motorcycles, restoring Corvettes and other cars and boats. He also lived on a sailboat for a year in Puerto Rico, and what stories he could tell about that adventure! Brad never met a stranger. Everyone who met him was touched by his electric personality, compassion, and willingness to help anyone. His generosity touched people that no one else knew about, except those that he shared with Sharon. He always had a happy demeanor, an infectious laugh, and joked with everyone…Sharon often said, “If you have a leg, he’ll pull it.” Brad entertained us all with a never-ending collection of his real-life stories, and was often told he needed to write a book. He lived many lifetimes within his 65 years. Brad had a love of life and for life; he could have been a modern-day “Doctor Doolittle.” He enjoyed camping and fishing, and he and Sharon took many wonderful camping trips. Christmas held a special place for him, and he took great pleasure in decorating outdoors for the E. Brainerd neighbors and passers-by. If he was outside, strangers would stop to tell him how much they enjoyed it. If they had little ones with them, Brad would have teddy bears ready to give the children. He enjoyed cooking and creating special things that had the “Brad touch.” Brad was an accomplished cook, and happily prepared dishes whenever there was a gathering of friends or family. He looked forward to grilling throughout the year, but especially when it was snowing. We are truly grateful for the outpouring of love and support Sharon has received from friends, neighbors, family and co-workers. We wish to express our love and thanks to everyone who helped during Brad’s short illness, especially their friend and neighbor, Penny Clarke. He is survived by his life partner, Sharon Crook, of Chattanooga, to whom he was devoted in every way; his niece, Anne Irwin Thomas and her son, Walker Benjamin Thomas, both of Ringgold, GA, and many cousins and other relatives, many of whom live in the Ringgold area. Brad was preceded in death by his parents, Julian Earl Hix and Margaret Yates Hix, both of Ringgold, GA, and his sister, Rebecca Hix Whaley of Cleveland, TN. A funeral service will be held on 6 PM Tuesday, February 5, in the funeral home chapel. A private burial will be held at Anderson Cemetery in Ringgold GA. Please visit www.heritagechattanooga.com to share words of comfort with the family and view the memorial tribute. The family will receive friends from 4-6 PM Tuesday, February 5, at Heritage Funeral Home, East Brainerd Road.